Words cannot capture the deliciousness of this dish. So flavorful, so satisfying... A must-try, for sure! To make the sauce, in a small bowl, thoroughly mix teriyaki sauce/marinade with chili sauce. Bring a wok (or extra large skillet) sprayed with nonstick spray to medium-high heat. 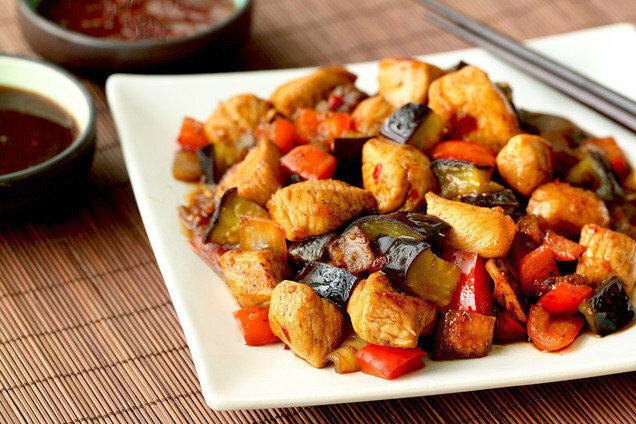 Cook and stir eggplant for 3 minutes. Add pepper and onion to the skillet, and sprinkle with 1/4 tsp. garlic powder and 1/4 tsp. onion powder. Cook and stir until veggies have slightly softened and lightly browned, about 5 minutes. Add chicken pieces, and sprinkle with remaining 1/4 tsp. garlic powder and remaining 1/4 tsp. onion powder. Cook and stir for about 5 minutes, until chicken is cooked through and veggies are soft. Reduce heat to low. Add sauce, and stir to coat. Three cheers for foil packs! Easy to make and even easier to clean up. The lemon and garlic are insanely tasty here. 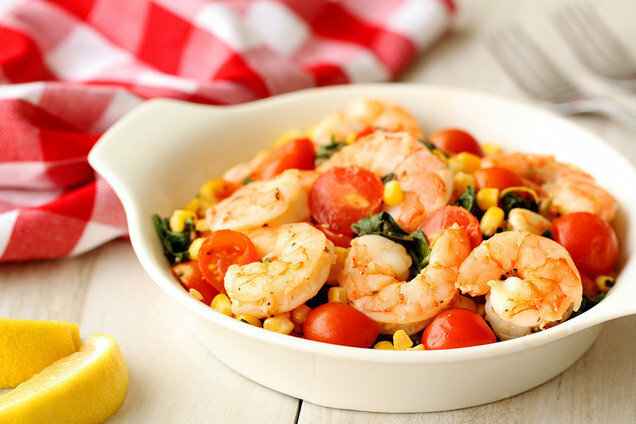 And why don't we eat corn with tomatoes more often? Hungry for More Half-Hour-Max Meals? Help your pals get dinner on the table ASAP! Click "Send to a Friend" now.